Where to buy MESH fences? If you’ve just installed a pool or moved into a house with a pool – or if your pool is now being used by a whole new generation of family members – it’s certain that pool safety is a key concern. You’ve probably spent quite a bit of time thinking about pool fence ideas: Where can you find an attractive, durable fence that will protect your loved ones? Mesh pool fences are popular for many reasons. They’re lightweight and easy to install, but durable. They can also be quite attractive. Finally, you can store them for the winter after your pool is drained or taken down as the weather gets colder. Several vendors manufacture and sell mesh pool fences. One of the best sources is Guardian Pool Fence, which is available through a network of dealers throughout North America. 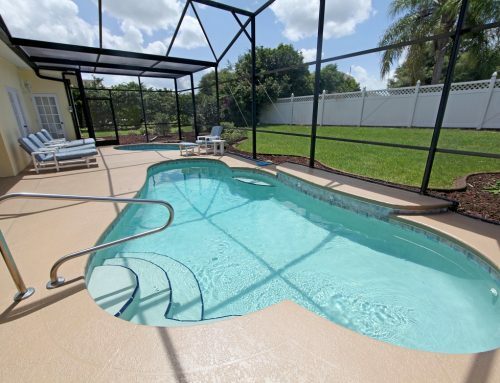 Guardian makes pool safety fences with such patented safety advances as a climb-resistant gate that provides no rigid top bar for a child to grab and a self-closing gate. Guardian’s locking fence pool sleeves are also patented, and ensure the fence cannot be taken apart without the use of tools. With tools and a bit of know-how, you can easily remove the locking fence posts if the fence has to be quickly taken down ahead of a storm. 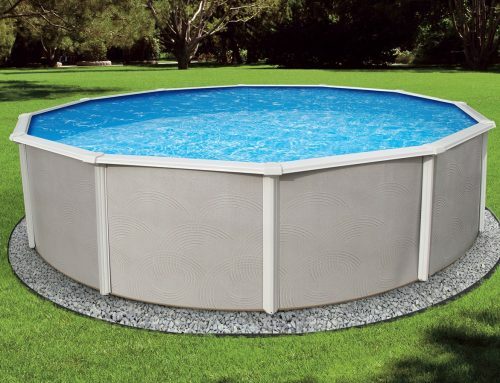 Guardian Pool Fence provides pool fence ideas for in-ground, above-ground, and wooden-deck pools. In all designs, their mesh pool safety fencing system comes in a variety of colors and heights. It can be installed at 48-, 54- and 60-inch heights with beige, brown or black poles, borders and netting to blend in with any backyard. 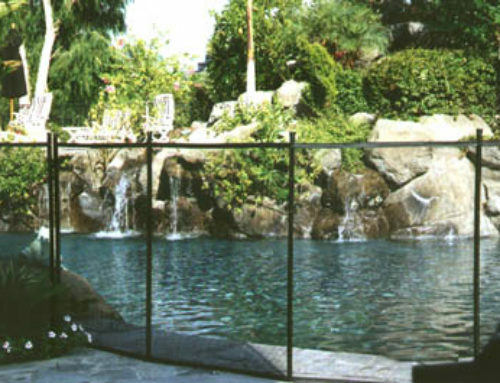 Guardian is the only mesh pool safety fence that’s been approved under the Los Angeles County building code, which is considered one of the strictest in the world. It’s also been approved by other jurisdictions throughout the U.S., Canada, and the United Arab Emirates.